DAVID LE/Staff photo. 3/27/15. 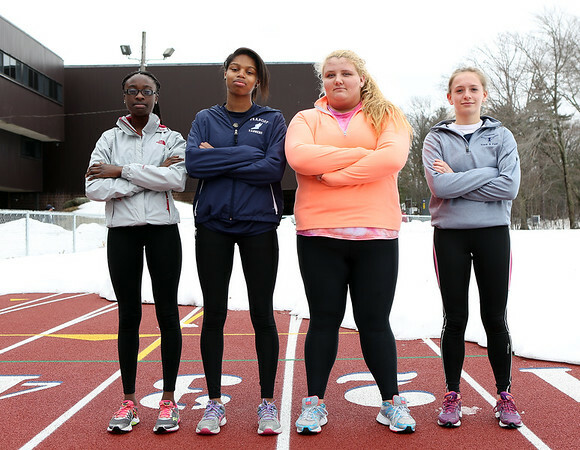 Peabody High School sophomore Amanda Andrews, junior Cynthia Aroke, junior Anna Church, and sophomore Sophia Anderle, will look to make big contributions for the Tanners this spring track season.